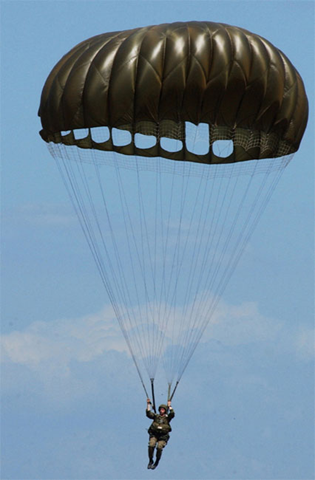 Your brain is like a parachute,it only works when it’s open! Those of you who I have coached,have heard me say this many times. It is so true, when your coach stands up on the pool deck giving you instructions on ways to improve your strokes and turns. Is your brain open to receive coaches instruction? Every day is a new jump into the air (water) don’t waist it! 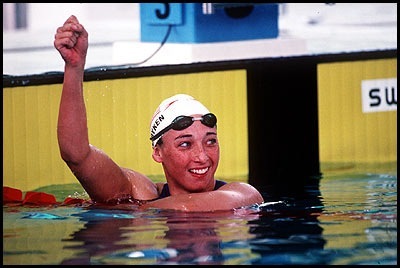 Who can name this swimmer? She was born in 1974. She won 5 Gold Olympic Medals. She was very popular during the 80’s and 90’s. She was the 1991 World Champion. During the first half of the 20th century, Duke Paoa Kahinu Mokoe Hulikohola Kahanamoku “emerged as the world’s consummate waterman, its fastest swimmer and foremost surfer, the first truly famous beach boy,” wrote biographer Grady Timmons. Duke Kahanamoku is best known to surfers as, “the father of modern surfing,” and a statue in his honor is located on Waikiki Beach. During the summer of 1911, Duke Kahanamoku was swimming at Diamond Head when he was clocked in the 100-yard sprint by attorney William T. Rawlins, the man who was to become his first coach. Rawlins encouraged Duke and his beach boy friends to form the Hui Nalu and to enter the first sanctioned Hawaiian Amateur Athletic Union swimming and diving championships in August 1911, where Duke’s prowess as a swimmer awed the fans. 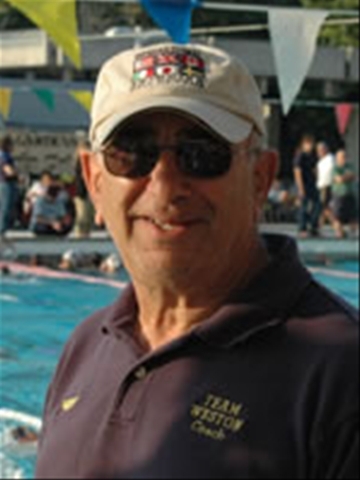 trials swimming meet held in May 1912 in Philadelphia, and he qualified for the U.S. Olympic Team by winning the 100-meter freestyle event in exactly 60 seconds. Less than a month later, at Verona Lake, N.J., Duke qualified for the U.S. Olympic 800-meter relay team. Sports history was made in Stockholm. Jim Thorpe won almost everything on land, and Duke Paoa Kahanamoku won almost everything in the water. Duke broke the record for the 100-meter freestyle, winning the gold medal. 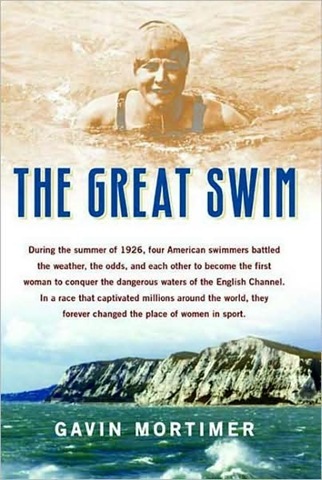 Following World War I at the next Olympic Games held in 1920 in Antwerp, Belgium, Duke reestablished himself as the world’s fastest swimmer. He broke his previous world record in the 100-meter with a time of 60.4 seconds. 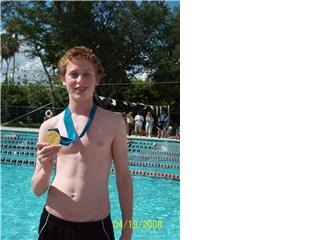 He also swam on the winning 800-meter relay team. Timmons, “that he was defeated by Johnny Weismuller, who later went on to become Hollywood’s first Tarzan. Duke would joke in later life that ‘it took Tarzan to beat me. '” Hawaii still had cause to celebrate, however, because Duke, now age 34, brought home a silver medal in the 100-meter sprint and his younger brother Sam won the event’s third place bronze. Duke is remembered not just as a swimmer for his remarkable speed, but also for his grace in the water, good humor and sportsmanship. In his later life, Duke remained active and traveled throughout the United States as a “symbol of Hawaii.” He was the “human fish” and the “father of surfing.” His name became synonymous with Waikiki and the term “beach boy.” He died in 1968. "Coach, I hate to kick"
PHILADELPHIA, Pennsylvania, April 21. 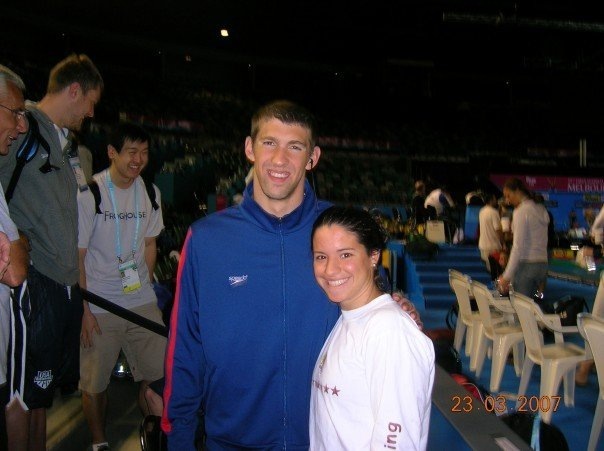 MACCABI USA/Sports for Israel, based in Philadelphia, PA, is seeking Jewish Swimmers to represent the United States at the 18th World Maccbiah Games in Israel, July 13 – 23, 2009. There will be over 9,000 Jewish athletes from over 60 countries participating in the Games. Juniors and Open Athletes will be departing around July 2, 2009 for a mandatory Team USA Pre-Camp. To see a complete listing of sports and levels, visit our website at http://www.maccabiusa.com. 1) There are NO qualifying times. Everyone interested in competing in the Games must fill out an application to be considered. The team will be selected from all applications – based upon best times. 2) ALL Swimming applications are required to be submitted NO LATER THAN DECEMBER 31, 2008. 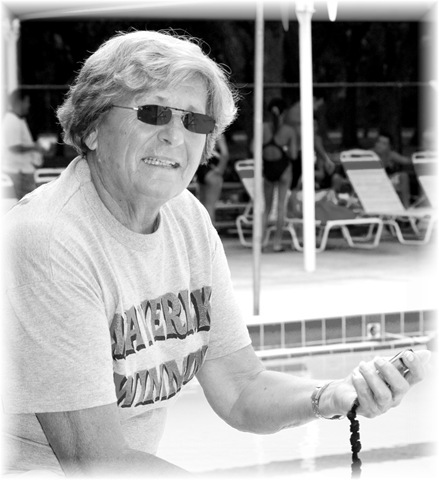 The Swim Teams will be announced by February 1, 2009. 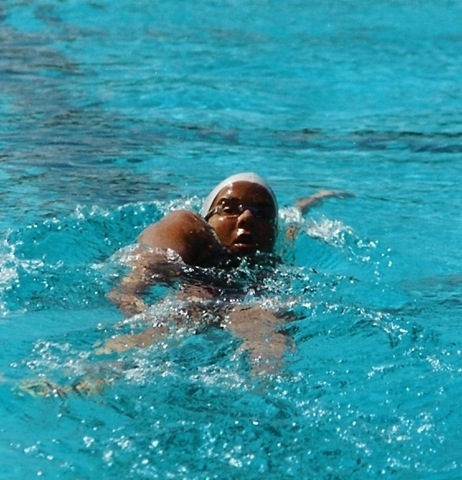 The Swimming competition will take place at The Wingate Institute and will compete in a Long Course Meters format. This competition is sanctioned by FINA and recognized by the International Olympic Committee (IOC). The Games are about more than sport, they are an opportunity to connect Jews from around the world with their culture, heritage and the State of Israel. There is a cultural program that takes place prior to the start date of the Games, where the athletes have the opportunity to tour historical and religious sites and take part in unique cultural experiences, all while bonding with each other. Applicants can apply today to show commitment to Israel and Jews everywhere while competing with and against the best Jewish athletes in the world. To apply online and learn more, visit http://www.maccabiusa.com. 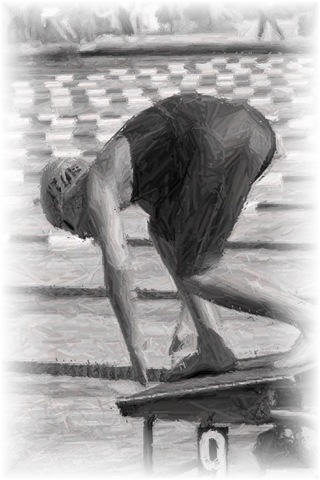 Immediately after Qualifying for the US Paralympic Swim Team, Dave went under surgery for his back. As of today he is supposed to be released from the hospital today or tomorrow. It seems that what they had to do on this surgery went ok. For more info on how Dave is doing you can go to his web-site at: davedenniston.com, they click on daves journal to hear from Davo himself. Dave can use all the support we can give to him. Please check out his web-site. 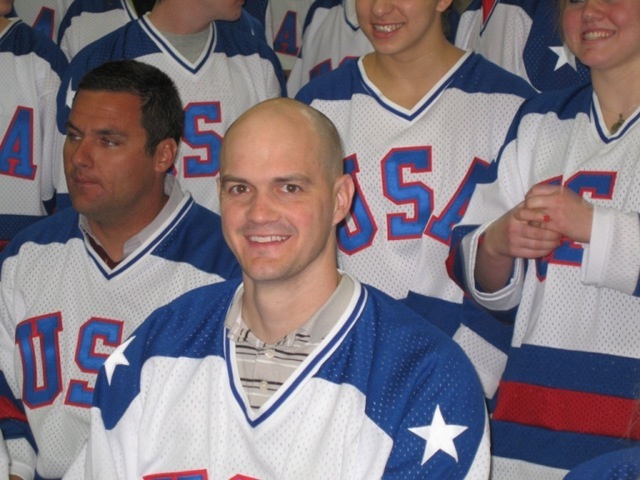 To those of you who may not know of Dave’s accomplishments, Dave was a member of the 2003 World Championship Team. 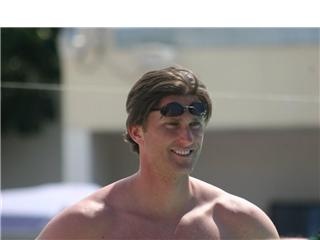 He also was a member of the Auburn University team and the NCAA 200 Breaststroke Champion in 1999. Please keep him in your prayers for a successful recovery. On Sunday there was Swimming Clinic with Lenny Krayzelburg (the American backstroker and the four time Olympic gold medalist) at my school pool. He gave a very intriguing and inspiring speech about his life and swimming. After the speech, he took us to the pool and showed us some vital drills and I learned a couple of new things from there!